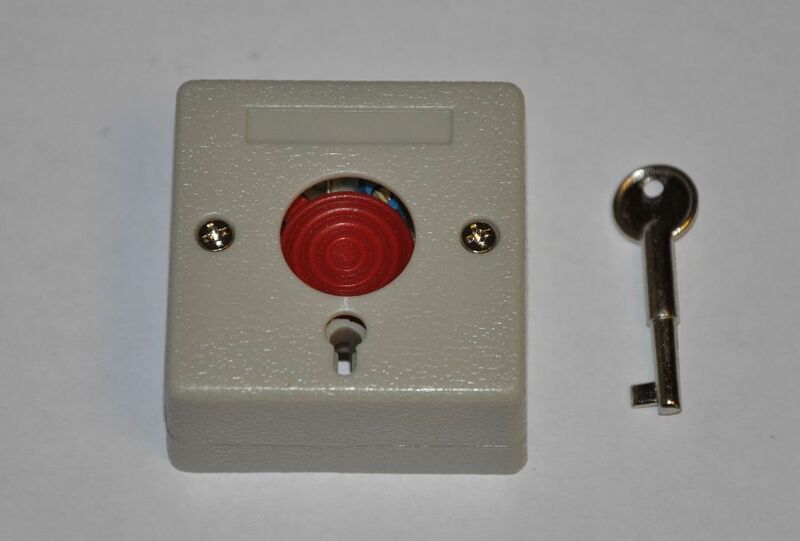 This listing is for an emergency button that once pressed, can only be released by using a key that is included with this listing. The contacts in the back work like a relay, or a SPDT switch. There is a common pin, a normally connected pin, and a normally open pin. When the button has not been pressed, the common pin is connected to the normally connected pin. When the button is pressed, the common pin disconnects from the normally connected pin, and connects to the normally open pin. 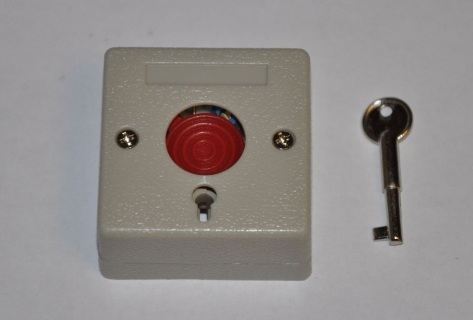 We employ this switch into one of our DIY security system kits, so have a look through our store! If order to connect to these pins, you'll need a soldering iron. 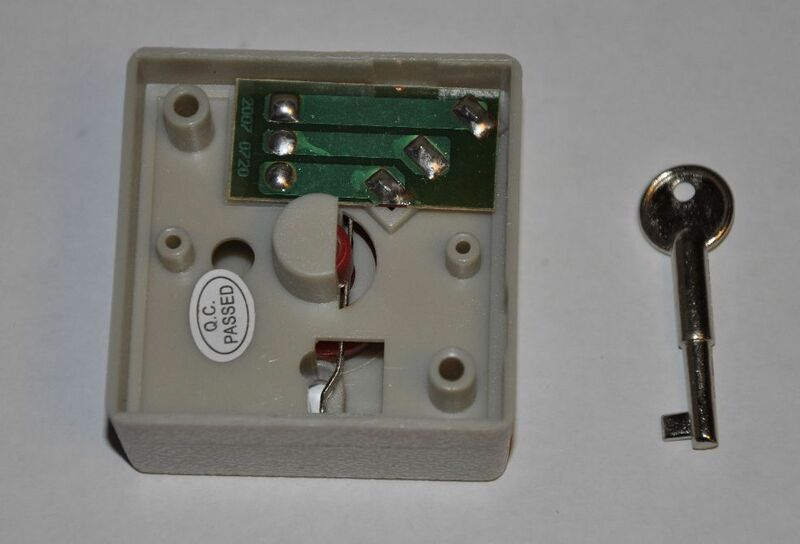 There are mounting holes in the back of the button box, but no mounting hardware is included. The box is made out of a beige-ish polymer. Please watch the enclosed video for a full demonstration. If after you've watched the video you still have questions, we are more than happy to answer! Please note: paintballprops.com products are designed and intended for recreational gameplay and training purposes ONLY. Any and all modifications or misuse of any of our products is in direct violation of our customer agreement and eliminates any and all liabilities of paintballprops.com and any affiliates. Please use and play responsibly!